Over the course of my year backpacking around Southeast Asia, I went to Malaysia a total of 3 times! I think it’s fair to say that I really enjoyed my time in the country. For anyone planning a similar trip, I wanted to share with you my 1-month Malaysia travel itinerary which included stops in 4 destinations: Melaka, Kuala Lumpur, Georgetown, and the Cameron Highlands. 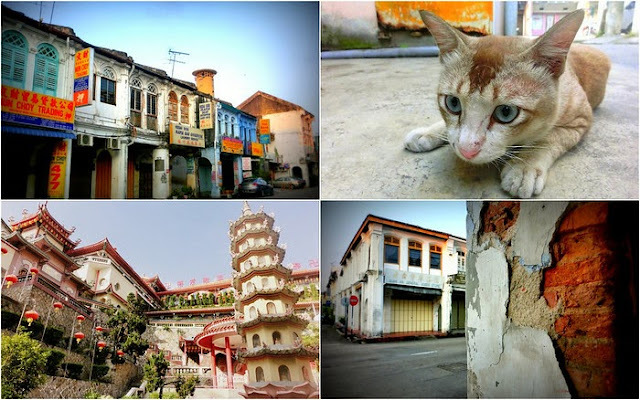 Melaka was my first destination in Malaysia and it completely took me by surprise! I came here not knowing what to expect and I found myself staying in the heart of Chinatown (the best area in my opinion! ), soaking in the swaying red lanterns, burning incense, and morning call to prayer. If you enjoy markets, I would suggest you plan your visit so that it overlaps with the Jonker Street Night Market. Friday and Saturday night draw in the crowds and it’s quite the sensory overload. While I didn’t necessarily buy any souvenirs, I really enjoyed the street food available. From durian ice cream to fried carrot cake (which is actually made with radishes and not carrots! ), there were plenty of new and interesting dishes to try. Also, if you can muster the early wake-up call, it’s really worth getting dim sum for breakfast. Located on Jalan Tukang Besi, there is a little dim sum restaurant that sits directly across from the Kampung Kling Mosque. The place opens long before the sun comes up, and I was always surprised by the number of locals up at 6 in the morning drinking tea and enjoying everything from har gow (shrimp dumplings) to char siu baau (fluffy steamed buns filled with barbecued pork). Melaka also has a lot to offer in terms of culture seeing as the city itself is listed as a UNESCO World Heritage Site. One of the best ways to get an overview of the historic centre is by hiring a trishaw driver to take you around for an hour. Drivers are parked around the Dutch Square and 40 ringgits is the standard rate for a 1 hour ride. Their loop will generally take you around Stadthuys, Christ Church, Saint Paul’s Church, Porta de Santiago, and the Maritime Museum. 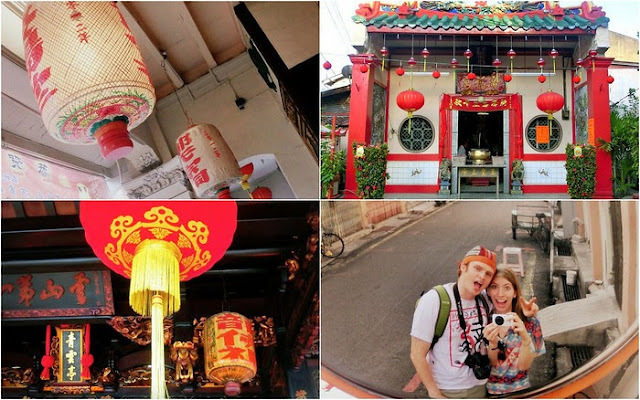 From there they’ll swing through Chinatown with visits to Jonker Street, Cheng Hoon Teng Temple, Masjid Kampung Kling (Mosque), and a few other historical buildings along the way. You’ll have time to hop off the trishaw and visit any of these spots, but do keep in mind that the clock is ticking and your driver will only take you around for 1 hour. I would recommend using the trishaw ride as a way to get a better overview of the city, and you can then revisit these places at your own leisure. I would also suggest taking a boat tour down the Malacca River. I took the trip twice – once in the evening and then again during the daytime – and it was a nice way to see the colourful buildings that line the promenade. If you’re up for a morning stroll, you can wander this same area on foot. And if you’re craving Indian food, you can’t miss Little India for a thali set served on a banana leaf! My go-to spot was Selvam Banana Leaf Restaurant. This was a cute family run guesthouse in a great location in Chinatown. They had a mix of private rooms with en suite bathrooms, as well as private rooms with shared bathrooms. The latter were a more budget friendly option, but even the shared bathrooms were kept incredibly clean a tidy! While in retrospect I would have spent far less time in Kuala Lumpur (10 days felt a bit too long in this big urban sprawl! ), I did enjoy the abundant supply of Indian restaurants in this city. I couldn’t walk more than a few meters without bumping into a little spot serving up roti canai and hot cups of spicy chai. A few favourites included Restoran Anuja (located by the Puduraya Bus Station) and Restoran Yusoof dan Zakhir (located in the Central Market). I’d also recommend checking out the hawker style food courts found along Petaling Street for a bit of a different flavour; you’ll find some cheap and tasty eats there. When it came to sightseeing, my first order of business in Kuala Lumpur was to swing by the Petronas Towers. I first caught a glimpse of them twinkling at night, and I returned again the following day for a look at them in the daylight. Equally impressive! I also enjoyed visiting the Kuala Lumpur Bird Park, which is an enclosed free-flight aviary – this means the majority of the birds roam free in an environment that closely resembles their natural habitat. The park is home to more than 3000 birds which are represented by more than 200 species. There were hornbills, peacocks, flamingos, parrots, storks, rainbow lorikeets, and countless others whose names I do not know. And of course, no visit to Kuala Lumpur would have been complete without taking the train to the outskirts of town for a look at the Batu Caves. These impressive limestone caves which are home to a popular Hindu shrine are located 13 kilometres north of the city. Reaching the top involves climbing 272 steps where cheeky monkeys lurk in search of food and cans of Coca-Cola – do not make eye contact and do not try to pet them! I went there early in the morning (to avoid the heat and the tour groups) and the place was virtually desolate. I watched the morning prayers take place at one of the shrines inside the cave and then came down for a bite at one of the many vegetarian restaurants located at the base of the cave. I stayed at the Hotel A-One several times when passing through KL because it was a good location - close to Chinatown, the Central Market, and nearby transportation. They key to getting an extra spacious room here is to upgrade to the Deluxe for just a couple more dollars. Also, their Wi-fi was incredibly fast, and they had an excellent restaurant serving up roti and chai right across the hotel. One of my favourite things about Georgetown is the street art by Lithuanian born artist Ernest Zacharevic. He has transformed many a forgotten wall with murals of children playing, as well as bicycle and motorcycle installations. His work lends the city a playful feel, and it’s nice turning the corner and unexpectedly discovering his pieces. A few of the attractions worth checking out in Georgetown include the Clan Jetties, where the Chinese community lives in stilt houses above the water; the Botanic Gardens, which offer a nice place where to cool down under the thick foliage; and the Kek Lok Si Temple (also known as the Temple of Supreme Bliss), which is located just a short bus ride away in Air Itam. Much like Melaka, you can also take a trishaw tour around town. The driver will take you around the historic attractions and give you time to hop off and explore these places a bit further. Hiring a driver for 1 hour comes to a little over $10. And lastly, one of the reasons to come to Georgetown, Penang and linger is the food! Little India is home to two of my favourite restaurants: Restoran Kapitan and Kassim Mustafa Nasi Kandar. If you are craving some tandoori chicken and palak paneer with a side of butter garlic naan, look no further than here! I was alternating between these two places every day. I loved this property! The Armenian Street Heritage Hotel was located in a historic property, and it was 5 floors of luxury at an affordable rate. It was within walking distance to the historic centre and the mall, and there were also lots of great little cafes in the area. While I only spent a few brief days in the town of Tanah Rata, I really enjoyed the laid back feel of the place. In the mornings I would walk into the town, grab a seat at one of the many little food stands set up along the main road, and order up a hot cup of spicy chai and a plate of roti canai. The air was cool, the morning fog was still lifting, and it was the perfect way to watch the town slowly come to life. 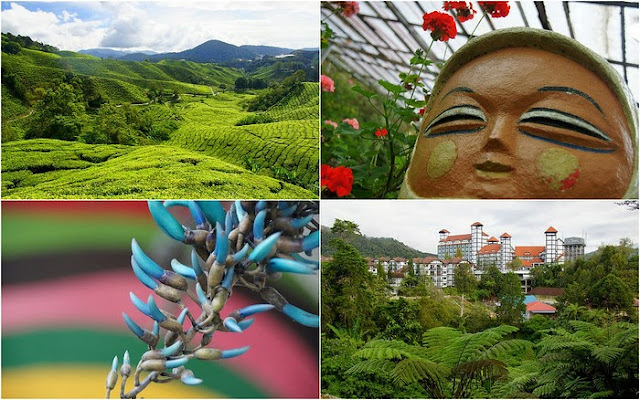 My visit to the Cameron Highlands was very low key and I was happy to hang out in the town and go on leisurely walks, but if you’re looking for a more active stay, there are plenty of tours to take. These include visits to the Mossy Forest, the Boh Tea Plantation, the Strawberry Farm, the Butterfly Garden, and if you happen to be in town at the right time of year, you can even go on a forest hike in search of the rafflesia – the largest flower in the world! On another note, I do have to warn you that getting to Tanah Rata may make you a little queasy. It’s a long winding journey to make it up into the highlands; the roads are narrow, and sometimes it feels like you’re playing chicken with the oncoming buses. If you get motion-sickness (and even if you generally don’t! ), you still may want to consider taking some Gravol before you board the bus. The place I stayed in was pretty dumpy, so unfortunately I can’t give a first hand recommendation for Tanah Rata. More beach time! When I was first planning my month in Malaysia, I had grand plans to make it over to the Perhentian Islands, which are located just off of the northeastern side of the mainland. However, in the end, my travels ended up concentrating on the west side of the mainland and getting all the way across felt like a bit of a hassle. I wish I had paid for a flight, but at that time I was still in backpacker mode thinking I couldn’t splurge on domestic flights…I missed out on some of Malaysia’s most pristine beaches. Womp, womp. Not making time for the Taman Negara! What was I thinking not making time to go to the jungle?! Again, at the time it seemed like too long of a journey (2-3 hours each way) to go just for the day, and I thought there would be plenty of other opportunities to visit the jungle…so I put it off. Not having enough time to visit Malaysian Borneo. While I would have loved to visit Malaysian Borneo, I thought hopping over would have been a bit rushed. If I come back to Malaysia again, this one is a high priority! Less time in Kuala Lumpur. 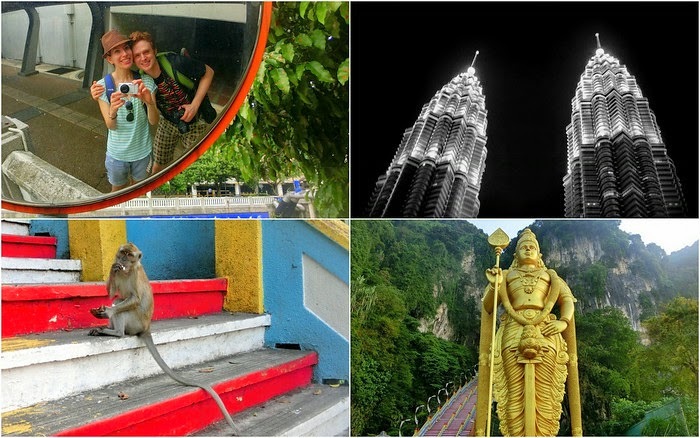 Yes, Kuala Lumpur has plenty to offer in terms of attractions, however, I think I overstayed in the city by spending 10 days there. In retrospect, 5 would have been plenty. If you’re not a big city person, I think it’s worth swapping a few days out of KL for more time in a quiet town like Tanah Rata or even beach time in Langkawi or the Perhentians. Have you been to Malaysia? What destinations would you recommend and why?